Peterborough’s hockeyness has yielded 38 NHLers, including ironmen whom the Hockey Hall of Fame deems crafty (Steve Larmer); sudden playoff scoring wonders (John Druce); rugged customers (the HHoF on Steve Webb); doughty face-off artists with country superstar wives (Mike Fisher); and the best all-around player in the world, ever (as Viktor Tikhonov called Bob Gainey in 1981; okay, he didn’t say ever). But let’s be honest: we don’t really do goaltenders in Peterborough. Forge them, I mean, polish them up, send them out into the world to shine. It’s just never been a specialty of ours. If you look to the ledger there are only three who got to the NHL. Zac Bierk was the longest lasting, playing 47 games for Tampa Bay, Minnesota, and Phoenix between 1997 and 2004. He won nine of those — I was going to say just nine, but that seems harsh. Bierk was large-framed and quick-reflexed, it says in the HHoF’s register, a natural. Cam Newton played 16 games for the Pittsburgh Penguins in the early 1970s, winning a quarter of those. The Hall calls his goalkeeping hot and recalls his bright blue mask. Then there was Mickey Murray. He had a long career fending off pucks, starting in his hometown in 1915 and not giving it up for another 24 years, in St. Paul, Minnesota. 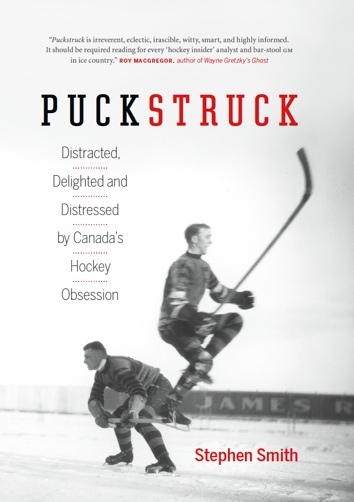 Along the way he got into precisely one NHL game, with the Montreal Canadiens, in 1930. The Habs had Howie Morenz that year, not to mention — although I guess I will — Aurele Joliat, Pit Lepine, Battleship Leduc, and Sylvio Mantha. There wasn’t anyone better than their goaltender, George Hainsworth. Three years earlier, the NHL had introduced the Vézina Trophy to reward the league’s best, and Hainsworth was, so far, the only man to have won it. The 1928-29 season had seen him record shutouts in half of the Canadiens’ 44 games. Boston won the Stanley Cup that year, though. Into 1930 they remained the league’s powerhouse, going 38-5-1 in the regular season, then accelerating on into the playoffs. They beat the Maroons in four games to earn a return to the finals. The Canadiens took the long way around: they had to beat Chicago and the New York Rangers to earn the right meet — and lose to — Boston’s dominant Bruins. Eddie Shore, Cooney Weiland, and Dit Clapper were in the line-up that year, and Tiny Thompson was in net. They were supposed to win. Instead, in early April, Montreal beat them in two straight games to take the Cup. The first game, in Boston, Hainsworth shut them out 3-0. Cool and collected, L.S.B. Shapiro from Montreal’s Gazette called him. Instilling his utter frigidity into all his teammates at critical times when the Bruins were threatening, Hainsworth made another contribution to the victory in more palpable form. He stemmed the thrusts of such eminent sharpshooters as Cooney Weiland, Perk Galbraith and Martin Barry with a nonchalance that even had the partial Garden crowd cheering. Morenz starred in the second game, back in Montreal, which the Canadiens won, 4-3, to take the Cup, which the Gazette reported with all the joy they could muster — on page 20 of the next day’s edition. “The psychological effect of Hainsworth on his teammates is almost incalculable,” Shapiro wrote. In the Forum, 13,000 fans went into a frenzy. 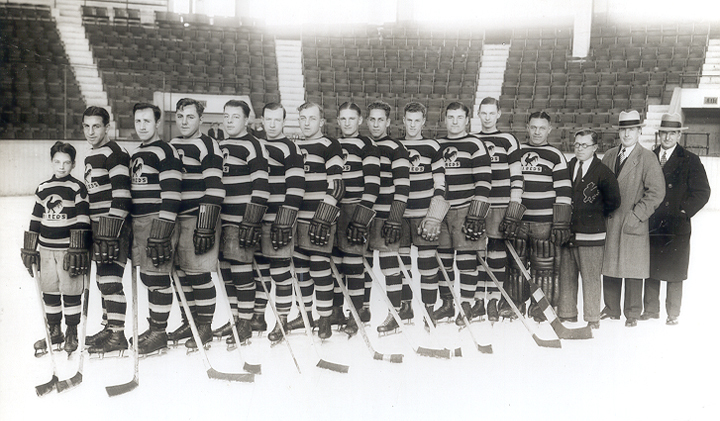 Montreal Mayor Camillien Houde issued a statement: “Glory to them!” A few hours later, the Bruins were training west aboard the Imperial Limited for Vancouver, where they had some exhibition games lined up. Hainsworth was preparing to leave for his hometown, Kitchener, Ontario, the Gazette reported, “where he has a place of business.” By the next morning, the staff at the Forum had broken up the ice to put in a ring for an upcoming boxing bout. The Gazette listed the champions whose names would be engraved on the Cup. Not among were two goaltenders who’d stood in for an ailing Hainsworth back in February of the year. Worters, in the New York cage, was just about ready to give up the ghost on several occasions. The looks of complete disgust that he gave his mates as the red light flashed behind him, spoke volumes. The two teams travelled to New York to play their next game, the following Tuesday, February 25. This time Worters was a hero, according to the Gazette, guarding the net “in his sensational fashion,” keeping out “many shots that looked like sure scores.” Unfortunately for the Canadiens, Hainsworth was home with the flu. Or least — “confined to his bed by influenze” is how it was reported. And that was it. Montreal went home to play their next game on February 27, two days later, an important one with Toronto. Hainsworth was still in bed, so the Canadiens turned to … Roy Worters. It is almost an unwritten law in NHL circles that goalies who step into the nets for teams other than their own must put up a brilliant exhibition, and Worters lived up to the regulation. Down at the other end, Howie Morenz scored three before it was all over. Final score, Montreal 6, Leafs 2. Two days later, when the Habs went to Pittsburgh to beat the Pirates 4-2, George Hainsworth was back in the net.